McLaren launched its new 2013 challenger today, an evolution of the 2012 model, which was the fastest car for significant parts of the season, including the beginning and end. On the face of it, the new MP4/28 looks similar to the 2012 car, but there are several very significant changes and it takes what was good car and makes it, in all probability, even faster. They have made changes which give them a lot of scope for development as the year goes on. It is a strong gauntlet thrown down by the Woking team to its rivals Red Bull and Ferrari in particular. They have wisely left unchanged many areas, where there were only small gains to be had; instead they've focussed on several key areas where they have already found gains and will find more as the year goes on. This car is all about maximising the air passing under the car and around the side pods down to the rear of the floor and the diffuser, which is where the most downforce is to be gained. The main changes are the front suspension, the higher front section and the sidepods. But there is a lot more besides. Here is our analysis. The front wing is the same as last November, before the US Grand Prix. This is for launch only and will not be for the first race. The first area of interest is the front brake ducts, which are quite different. Last year the ducts had few vane ad-ons. This year they are more angled to the front wing. This is going to be a real area of development given the change they have made to a pull rod front suspension, of the kind used by Ferrari last year. This is a fundamental decision and one which they are committed to for the year. 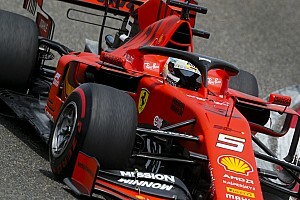 The reason why they have switched is because they wanted to raise the front section of the chassis, to improve the air flow under the car and between the chassis and the wheels. However when you do that you raise the centre of gravity, which is a bad thing. You counteract that by using pull rod suspension, which pulls the centre of gravity down again. Under the nose, the 2012 car had a set of turning vanes, which directed the air down to the diffuser and were quite powerful. They are not on the launch model. 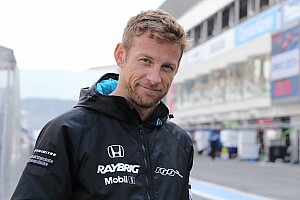 It's likely they will add for testing and race, but if they don't it means that they are very confident about the connection between the front and the rear. With the front suspension change, they have had a complete rethink and it opens up areas of aero development outboard and in interaction under the nose. It's a long distance from front wing to rear of floor and you need to control that flow. The shape of the side pods and the side vanes has changed. The vertical vanes more simplistic, they used to have two, now there is only one. Outboard of the side pod, the detailing is extreme and you can see it runs the length of floor, undercut and very sculpted; this is a very extreme treatment. What McLaren is trying to do with this area is to create a skirt of air. Air passing through here will create strong vortex shapes and rotational flow to provide a seal of air, crucially so that everything under the floor stays there at all times and does the maximum job at diffuser, which is where the real downforce gains are to be had. This area of the car has met with gasps of approval from engineers. It's really nice work. Last year there was a lot of work done on the exhausts to get them to channel gas pressure down to the diffuser. Here the channel looks similar to 2012, but the floor behind it is a dummy for the launch, it's surely not what they’ll use in test and race. It is very simplistic. Given the complexity of the rest of the detailing, such as the side pods, this looks like a dummy panel and it will be interesting to see what they do here in testing and at the first race. The Rear wing is from last year, which makes sense; there is more to come in this area. Likewise, the roll hoop intake is same, there is not much to be gained here, so they have left it and focussed on where the gains can be had. This will be a development race with the other front running care to win the title. McLaren should start strongly with this car. But they will clearly be working hard to bring more performance in particular to the front brake ducts, the air flow under and around the car, the rear floor and the front wing. The launch model has nose pillars back under front wing, which is interesting. Front balance is always an issue with this generation of F1 cars. McLaren were pushing for front balance in the final races of 2012, often adding flaps and other devices to achieve balance. Here they have addressed that. McLaren do not have a passive double DRS device on the car (as pioneered by Lotus past season) and although they are investigating it in simulation, they have no immediate plans to bring one onto the car. There is speculation that the Ferrari will have one when it launches tomorrow.